Retired Workers' Retreat – North American Baptists, Inc.
Join us in beautiful Sumas, Washington, for a time of fellowship, connection, and refreshment. We will gather to catch up with one another, share stories, make memories, and worship together. Registration opens February 28, 2019, at 9:00 a.m. PST and closes May 1, 2019, at 4:00 p.m. PST. For questions about the retreat or to register, contact Amber Pedroni at (916) 797-6222 or apedroni@nabconf.org. 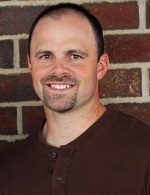 In 2000, Chris planted Central Valley Community Church in Hartford, South Dakota. After serving there for sixteen years, he took on the role of regional minister of the Northwest region. Chris has been married to Kristi for more than twenty-four years, and they have three children, Jaden, Grace, and Josiah. He enjoys Hudson Taylor’s Spiritual Secret by Howard and Geraldine Taylor, as well as outdoor activities such as tennis, hunting, fishing, snowmobiling, and coaching baseball and basketball. Regular check-in begins Monday, May 13, at 3:00 p.m. Early arrival check-in begins Sunday, May 12, at 4:00 p.m. Sunday evening and Monday morning will include informal gathering and fellowship. Meals are included in your retreat registration. Early arrival includes eight meals (Sunday dinner is not provided). Regular registration includes six meals. Please mark on your registration form if you have any dietary or physical limitations. Many need rooms that allow dining and meeting access without stairs. Because these rooms are limited in number, we must accept registrations for these rooms on a first-come, first-served basis.